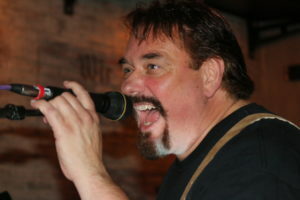 Eddie Biegaj – Eddie is a trained opera tenor by University of Toledo Professor Tom East. 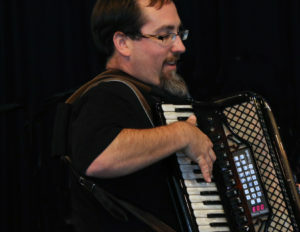 He is also a trained drummer and self-taught accordionist and concertina player. He has been in several short operas. He has also played the role of Moonface Martin in the musical Anything Goes and the Zigfield Tenor in Funny Girl. He currently lives in Belvidere, NJ with his son “Edziu”. His daughter Krystal Rose Biegaj-Romanowski is married to Danny and they have a baby girl Sadie, while 2nd daughter Keszia Lorraine Biegaj-Perez lives with her husband JJ, daughter Jaiden, with one on the way, in Hawaii. 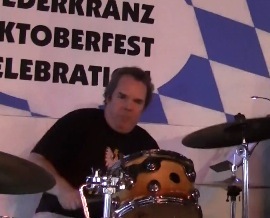 Ron Oswanski – Oswanski has been keeping company with formidable musicians for more than two decades. Since entering the jazz big leagues in the early 1990s as a teenager recruited by Maynard Ferguson’s Big Bop Nouveau Band, he’s collaborated with some of jazz’s most creative figures, performing with the Maria Schneider Orchestra, Tim Ries and The Rolling Stones Project, Jack Wilkins and Mike Clark, Milt Hinton, Myron Walden’s Countryfied, Dave Berger and the Sultans of Swing, as well as popular music icons The Temptations, Aretha Franklin and Blood, Sweat and Tears. Vibraphone master Dave Samuels, the driving force behind the Grammy Award-winning Caribbean Jazz Project, launched the Organik Vibe Trio several years ago as a vehicle for collaborating with Oswanski, leading to the enthralling 2010 session Moscow. He also plays widely with Israeli guitarist Oz Noy’s trio with drummer Nate Smith, the Dan Willis Band with percussionist John Hollenbeck, guitarist Sheryl Bailey’s Trio, and Carl Fischer’s (Billy Joel) Groove Project. Born in Toledo on March 17, 1974, Oswanski started serious piano studies as a child with Mark Kieswetter, an Ohio jazz legend whose credits include gigs with Zoot Sims, Jack Sheldon, James Moody, and a three-year stint as musical director for Jon Hendricks. At the same time, Oswanski got intimately familiar with the accordion, often performing with his father’s polka band. He started gigging widely as a precocious high school pianist, receiving invaluable experience. The accordion, around 1994, became an obsession. Learning the technical workings of the instrument quickly became more interesting than anything piano related. leads the PA Jazz Alliance which promotes, jazz in North Eastern Pennsylvania and through out the state.